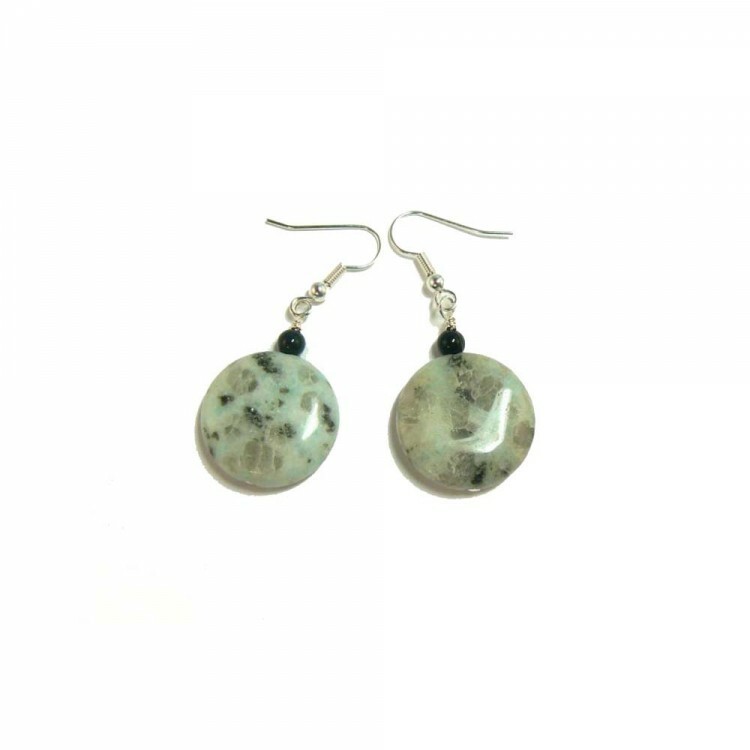 Sesame Jasper earrings. Tranquil, calming and delicate, pale blue-green. A rare treasure. Each stone showing inclusions like sesame seeds embedded in the rock. An ideal gift for that special person. I have designed these earrings to included onyx beads which enhance the character of the sesame jasper. I have added them to silver plated "nickel free" earring posts and scrolls, to comply with EU directives.